Moby is, by all accounts, an avowed opponent of totalitarian and undemocratic regimes and one of the loudest animal rights advocates in the world. He is doing excellent on the music plan – he collaborated with names like Michael Jackson, David Bowie, Britney Spears, Guns N ‘Roses, Metallica, Daft Punk, and the audience in Serbia could see on the main stage of EXIT 2009. 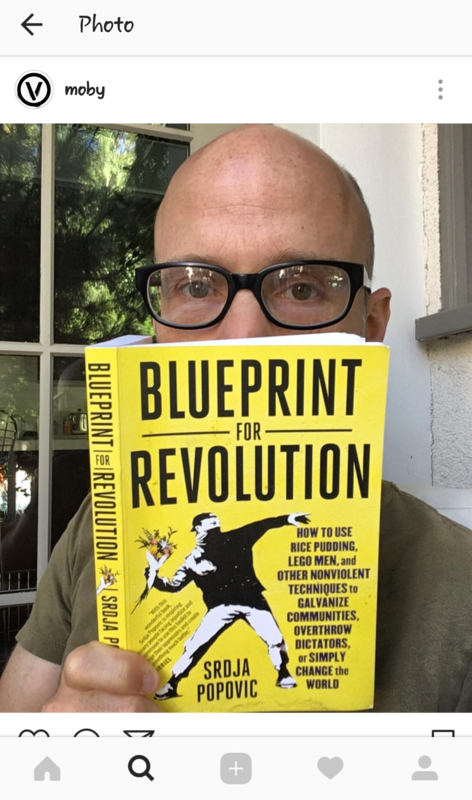 The book “Blueprint for Revolution” by Srđa Popović, a guest lecturer at Harvard, is at the top of the list of the most-read and best-selling manuals for activists of different profiles in the Anglo-Saxon countries. Since the book saw the light of day in the bookstores of the largest European, Asian and Latin American cultural capitals, it has become an indispensable guide for anyone who does not want to sit with the hands crossed, but wants to contribute to changing things that disturb them. The Blueprint for Revolution, whose edition was presented in the Serbian language in 2015, is a collection of stories about ordinary people who did great deeds by first realising that things would not change by themselves, and that they have to do the job themselves instead. The methods of nonviolent struggle are the most successful in achieving a range of democratic goals in various societies – from the struggle for the rights of the gay population in the United States, the action of removing the regime of Slobodan Milošević in Serbia, resistance to North African dictatorships, to democratic movements in Asia. 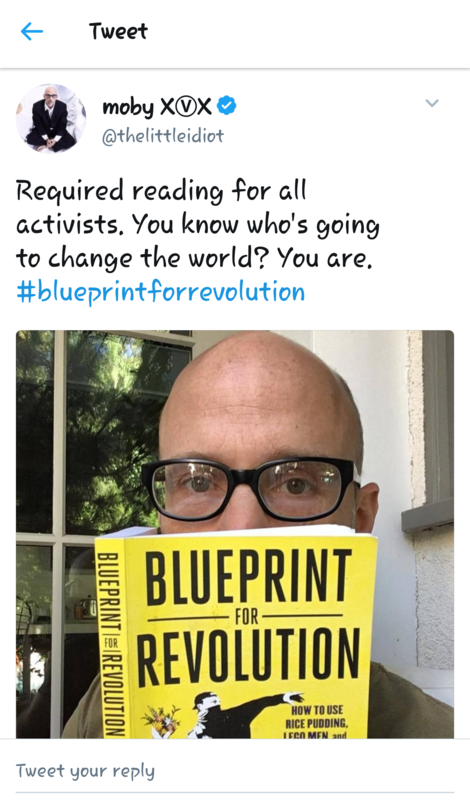 Blueprint for the revolution is published in the United States, the United Kingdom, Canada, Australia and Germany, France, Turkey, Hungary, South Korea, Spain and Latin America.